Here’s something worth shouting about: this double whammy consists of both Aura Management and Enchanted Bakriminel Bolts, plus the final week of Solomon’s Store sales! Give yourselves a pat on the back, ‘scapers, because this one’s all thanks to your feedback. 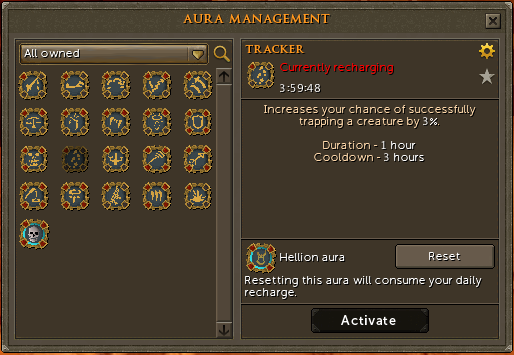 No need to wax lyrical about an update with such obvious wins: more bank space and less faff (now that all-things-aura have been moved to one, central hub with the Aura Management interface), plus the ability to activate, deactivate and swap your auras during combat. 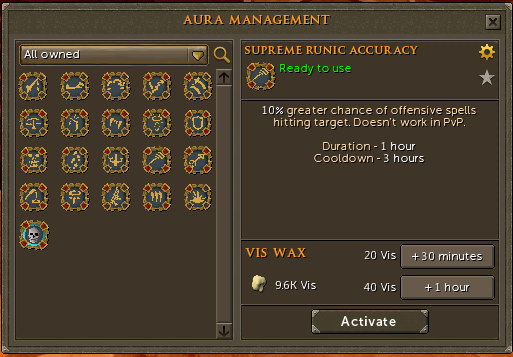 You can even buy auras directly from the interface! We had a ‘now kiss’ moment. On the left, the Bakriminel bolts; on the right, the Enchanted gem-tipped bolts. Our devs glanced from one to the other, pushed them together, and then it happened. Here’s the gist: you can now tip Bakriminel bolts with any one of eleven gems, then enchant said gem to get the correlating effect. The result? The new best-in-show bolts in-game, with tier 95 damage and a level 99 ranged requirement to equip. Phwoar. Opal Lucky Lightning: 5% chance to perform 10% more damage. Jade Earth's Fury: 5% chance to stun your opponent for 4.8 seconds. Only Binds in PvP. Red Topaz Down to Earth: 5% chance to reduce your opponents magic level by 2 and damage by 1%. Caps at 10 levels and 5% damage. Pearl Sea Curse: 5% chance to perform 15% more damage to enemies that are weak to water. Performs 15% less damage on enemies that are weak to fire. Stops enemies from running in PvP. Sapphire Clear Mind: 5% chance to steal 5% of your maximum prayer points from your opponent. Emerald Magical Poison: 55% chance to poison your enemy for 4% of your weapon damage. Ruby Blood Forfeit: 5% chance to deal damage worth 20% of your enemy’s life points, while also dealing 10% of your own life points to yourself. Damage dealt to players caps at 3,000. For NPCs, the percentage of damage dealt scales down linearly as the NPC loses health, capping at 10,000 (12,000 for critical hits). Furthermore, the chance to trigger this effect lowers by 1% for every 1,000,000 of the NPC’s remaining health, capping at a minimum of 1%. Diamond Armour Piercing: 5% chance to hit with 100% accuracy and deal up to 15% more damage. Dragonstone Dragon’s Breath: 5% chance to hit your opponent a second time for 25% of your current attack as dragonfire. Dragons and those under dragonfire protection are immune. Onyx Life Leech: 10% chance to heal up to 25% of damage potential (capping at 2.5k) and dealing 25% more damage. Hydrix Deathmark: 10% chance to instantly provide 10% adrenaline and an additional 1% adrenaline from basic abilities for 15 seconds. The sale ends on January 31st. Take a look now! Items no longer appear invisible in player inventories and banks. Players can now buy each of the damaged god books from Jossik before completing prior books. The display of the overhead target information was rewritten in order to fix an issue with the background layer becoming transparent unintentionally. This rewrite also improves the responsiveness and accuracy of the health bar. Dwarven multicannons now jam where they previously decayed. Players can repair the cannon in this state to reactivate it without needing to rebuild it. It will be destroyed as before if not repaired within 20 minutes. 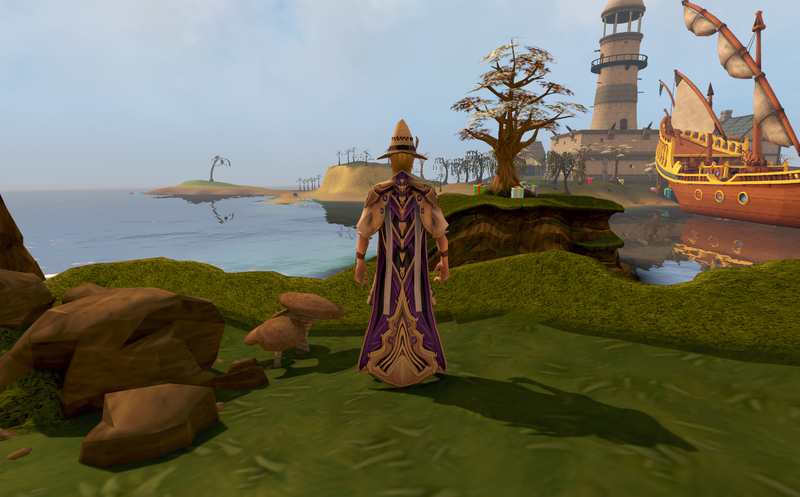 Players will no longer receive black ibis pieces from Pyramid Plunder if the outfit piece is currently stored with Diango. Make sure to let us know your feedback in the forums. Our tech QA team will be joining us for a show and tell about the tools they use for the NXT engine, debugs and automated tests. They will also be picking up your questions from the chat and answering them live. Available on Twitch and YouTube – don’t miss out!